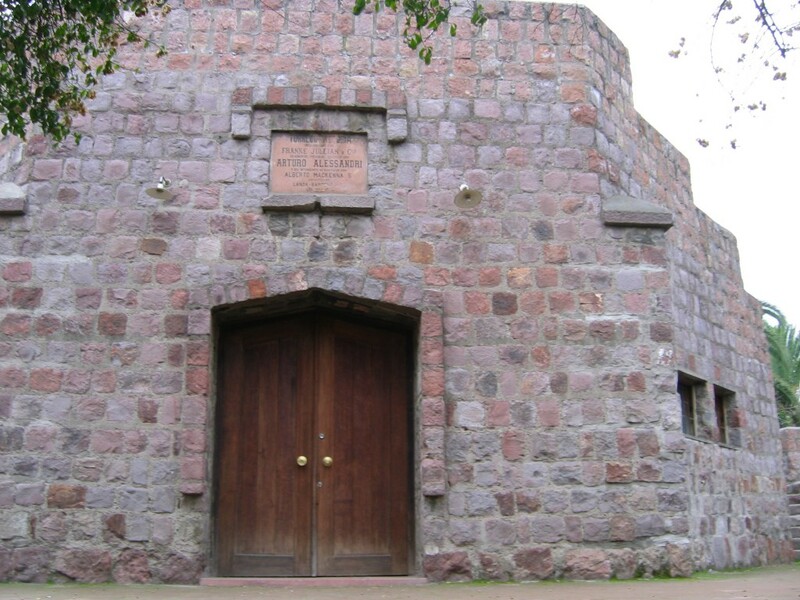 This is the doorway of the Victoria Tower, in San Cristobal Hill. It was constructed in 1925 during President Arturo Alessandri's government and was inaugurated altogether with the Metropolitan Zoo. It housed an observatory for many years and now it serves as a souvenir shop. And, of course, you can enjoy a spectacular view from the top of the tower. Huge rocks to construct the tower, too. Impressive. Ame: Yes, maybe tomorrow I'll post a picture from the top. And I've been living in Chile for 28 years now... Since I was born... I'm chilean, LOL.